India’s not so dismal Justice Shah! Justice A.P. Shah shares his initials with the first two letters of the adjective “apocalyptic” which aptly describes his M.N.Roy Memorial Lecture. His prophesies of doom notwithstanding, India is not in so grim a condition as he suggests. Yes there is a tumultuous clamour within the political landscape today. But is that not the norm of a free society? As long as a polity retains the legal capacity to control the consequences of social encounters between competing ideologies – which India undoubtedly possesses – dislike for a contrary point of view should provide no cause for apprehension or alarm. Preference to one of a competing set of opinions and condemning the contrary as dangerous has little to do with the content of the opinion and is based exclusively upon the values the self appointed arbiter subscribes to. Justice Shah may be attaching little value to the legally enjoined political integrity of India giving preference to freedom to divide the country over its being kept intact as is constitutionally prescribed and hence worry about “attacks” on “institutions of learning” but how does he conclude therefrom that a view contrary to what he holds is dangerous or wrong and harmful for the country? What is misdescribed as an “attack” is actually the repulsing of an assault on a perception of India as envisaged by its constitution. A tolerant society without self-defence is doomed to destruction. Reference to “online hate, abuse and threats” to a “21 year old university student” is clearly a case of cherry picking suggesting, wrongly, that one point of view alone is made subject of online harassment. Similar abuses and ad-hominem attacks apply to almost every point of view which is expressed. The partisan approach of Justice Shah sows a predisposition towards a particular point of view which robs his view both of balance and perspective. UP finds a mention with a pointed reference to “harassment of Muslims” but are Muslims alone harassed in the country? What about the ethnic cleansing of Hindus from Kashmir or the murder of Swami Lakshmanananda on Janmashtmi by Christians in Orissa? Similar examples can be multiplied. India did not yet break into tumult nor into an uncontrollable frenzy or disorder! Is ignoring a large number of related cases which contradict one’s stated position not unprincipled and unfair ? Yes, as Justice Shah said, we must be “wary of enforcing a single ideology on a country as diverse as India”. The comment was made in the context of Mohan Bhagwat’s call for a national law against cow slaughter. Notwithstanding Bhagwat, under the Indian constitution the state legislatures alone have exclusive powers to legislate on the subject which is the reason why many of the states have enacted no legislation on the slaughter of cows. Bhagwat is, however, entitled to his views. Committed as he is to freedom of speech, can Justice Shah deny Bhagwat the right to hold views which Justice Shah may not like? Or is he intending, through negative verbal remarks, to create an antipathy towards a contrary point of view not shared by him and imposing a “single ideology” on a country as diverse as India. In any event there is no prescription in India about what one may or may not eat and laws in place to deal with any form of intimidation or coercion. 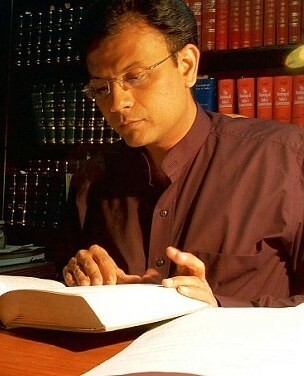 Justice Shah referred to the Censor Board rendering Hanuman Chalisa silent because prayer was not answered but chose to ignore referring to the movie PK which dealt with fraudulent godmen (all of whom were incidentally Hindus) nor even to 3 Idiots where students were shown to be worshipping several Hindu Gods and even feeding a cow in a desperate attempt to pass the examination. I doubt if as liberal or expansive satirizing or mocking of religious habits of any religion other than Hinduism could have been dared by any director or producer of any movie in India. This is a tribute to its maturity, sense and large-heartedness. There is nothing wrong with the retention of the offence of sedition, to which Justice Shah objects, as law must reconcile the right of private criticism with the necessity of securing safety and stability of state. Prosecution for sedition is in the interest of public order which is included in clause 2 of Article 19 of the Constitution. And his regret that defamation was not decriminalised does not detract from the fact the judgment the Supreme Court rendered was indeed a well reasoned one. A prejudiced mind can easily stigmatise. And cherry picking facts to resonate with your belief system can only bring about a doctored reality. While becoming a Cassandra of doom Justice Shah forgot that what he felt was reality was actually one feigned, invented and imagined by him only. India needs no moralising discourses from Justice Shah or others.